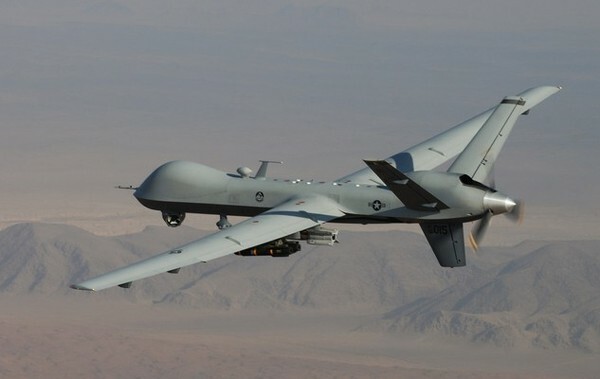 “The traumatic nature of their work is leading drone operators to quit the Air Force by the hundreds. MATTHEW’S MESSAGE – 3/11/13 – WHY ARE THINGS MOVING SO SLOWLY? Many civilizations were authorized by God to help Earth reach safe harbor at this point in your linear time, but throughout her ascension process, her residents have been in charge of societal changes. No other civilization may do this on your behalf because Earth is your world and must be the kind of world that you, collectively, want. You know that everything is energy vibrating at one frequency or another, and because energy is neutral and has no reasoning capacity, it can’t differentiate between what is wanted and what is not. Consequently, as people’s thoughts and feelings shoot out into space, the universe provides individuals with circumstances whose energy matches the energy of whatever they have been focusing on—the law of attraction that’s in constant motion. We know the truth about these two men whom third density minds perceive at best as controversial figures with political and ideological “pro” supporters and “con” opponents. But by no means are “sides” limited to national leaders—it is the very same in all divisive issues that are besieging your world! The “right” and “left” of any situation keep generating fuel for each other—heated feelings are intensified and the imbalance of stalemates is prolonged. Consider: Governments with a stockpile of nuclear weapons tell other governments, It’s OK for us to have these but you can’t because we don’t trust you. The governments that are told You can’t are expected to trust the motives of the governments that do have these weapons? Earth keeps rising into the successively higher vibrations that are conducive to lightening—enlightening!—what you call “human nature.” Attitudes on both sides of all issues will change gradually from vehemently contentious to reasonable, setting the stage for the harmonious discourse that will lead to “parts of the problem” becoming “parts of the solution” for the good of all. It is logical to wonder: Earth has reached fourth density, so how can it be that most of her residents still are in third? There are two types of density, scientifically speaking. One pertains to mass and the location of a mass— Earth is in the low “edge” of fourth density and will continue ascending until she reaches her destination in fifth. Earth’s population today ranges from third density through seventh in soul evolvement. Dedicated lightworkers are at fourth spiritually—they are steadily on the spiritual pathway—but some are lagging consciously; they still are working on becoming nonjudgmental, forgiving self and others for perceived wrongs, and getting past guilt, remorse, possessiveness and other feelings that emit low vibrations. The comparatively few souls in fifth and higher densities are those you call Crystal or Indigo or are members of other civilizations living with you. Filed under: Barack Obama, Drones, Hugo Chavez, Matthew, NESARA, Nuclear weapons, Obama, Suzy Ward |	Comments Off on MATTHEW’S MESSAGE – 3/11/13 – WHY ARE THINGS MOVING SO SLOWLY?